John of Ephesus traveled throughout the sixth-century Byzantine world in his role as monk, missionary, writer and church leader. In his major work,The Lives of the Eastern Saints, he recorded 58 portraits of monks and nuns he had known, using the literary conventions of hagiography in a strikingly personal way. War, bubonic plague, famine, collective hysteria, and religious persecution were a part of daily life and the background against which asceticism developed an acute meaning for a beleaguered populace. 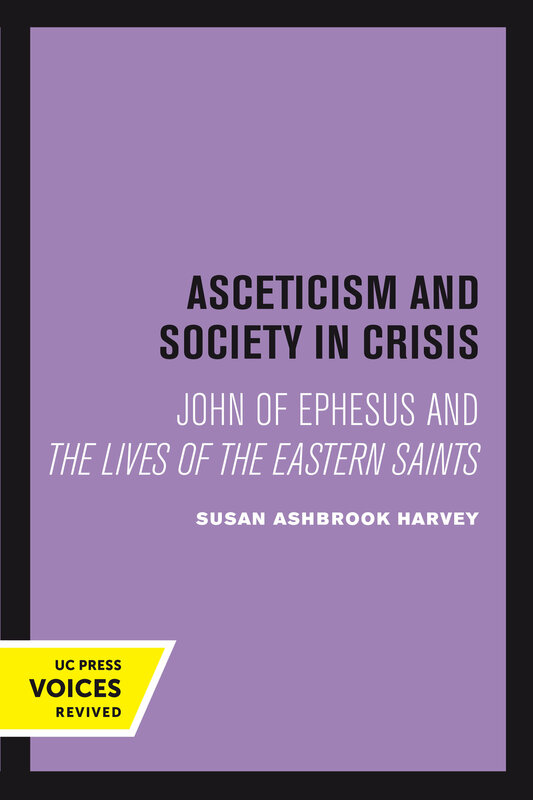 Taking the work of John of Ephesus as her guide, Harvey explores the relationship between asceticism and society in the sixth-century Byzantine East. Concerned above all with the responsibility of the ascetic to lay society, John's writing narrates his experiences in the villages of the Syrian Orient, the deserts of Egypt, and the imperial city of Constantinople. 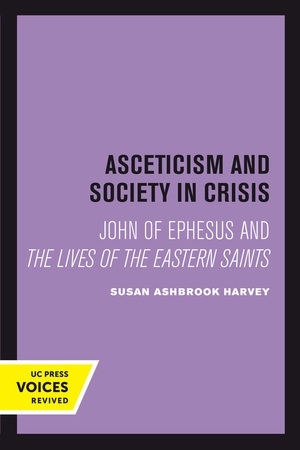 Harvey's work contributes to a new understanding of the social world of the late antique Byzantine East, skillfully examining the character of ascetic practices, the traumatic separation of "Monophysite" churches, the fluctuating roles of women in Syriac Christianity, and the general contribution of hagiography to the study of history. This title is part of UC Press's Voices Revived program, which commemorates University of California Press’s mission to seek out and cultivate the brightest minds and give them voice, reach, and impact. Drawing on a backlist dating to 1893, Voices Revived makes high-quality, peer-reviewed scholarship accessible once again using print-on-demand technology. This title was originally published in 1990. Susan Harvey is the Royce Family Professor of Teaching Excellence, Willard Prescott and Annie McClelland Smith Professor of History and Religion at Brown University. She specializes in late antique and Byzantine Christianity, with Syriac studies as her particular focus. She has published widely on topics relating to asceticism, hagiography, women and gender, hymnography, homiletics, and piety in late antique Christianity.